Cristiano Ronaldo may be available for a summer transfer but only the world's very richest clubs would be able to contemplate a move for the 32-year-old. According to reports on Friday, Ronaldo is open to a move away from Los Blancos after he was linked to a £14m tax avoidance matter. Ronaldo does have a release clause in his Real Madrid contract but it is steep. Quite steep indeed. If your favourite club want to take the Portuguese star of the European champions' hands, it would cost them £874,880,000 [€1 billion]. That's somewhat higher than the £80m Real paid Manchester United for his 2009 transfer. 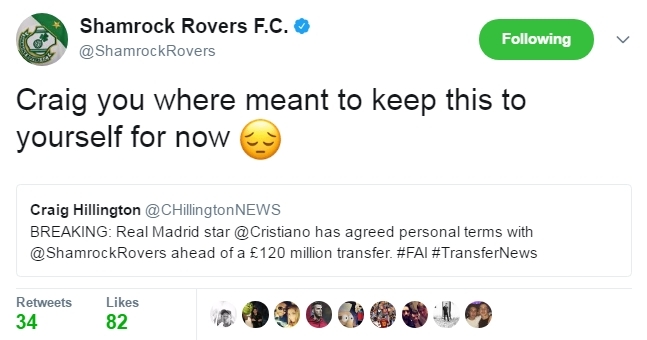 Interestingly enough, the team Ronaldo made his Real debut against has been tweeting about the possibility of tempting him back to their stadium at the foot of the Dublin mountains. Ronaldo's first start for Real was in a friendly match against Irish Premier Division side Shamrock Rovers at Tallaght Stadium on July 20, 2009. Having tried his hand at hurling out at Maynooth's Carton House, the forward helped his new side to a 2-0 victory over Ireland's most successful club side. 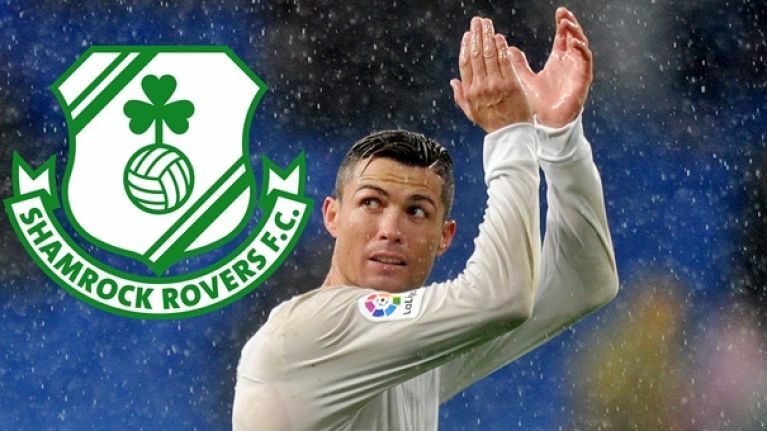 One suspects that Rovers could not tempt Ronaldo for £120m just yet but there's no harm popping that in a nice savings account, allowing it to accrue interest and coming back with another bid in three or four years' time. Cheapskates. We're currently awaiting word on whether Macclesfield Town will bid for Ronaldo. We'll keep you updated.